Music and lyrics for all the most popular Christmas carols are here accompanied by colourful illustrations by Stephen Cartwright. It includes all the favourites from 'Away In A Manger' and 'Good King Wenceslas' to 'O Little Town Of Bethlehem' and 'We Wish You A Merry Christmas'. 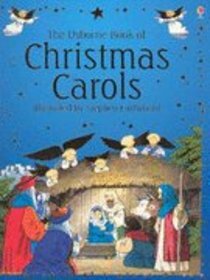 About "The Usborne Book of Christmas Carols"